For "Just One More Night" This September "Phil Collins" comes the Charde Oriental at Tollerton. "You Can't Hurry Love" but you CAN book your table now!! 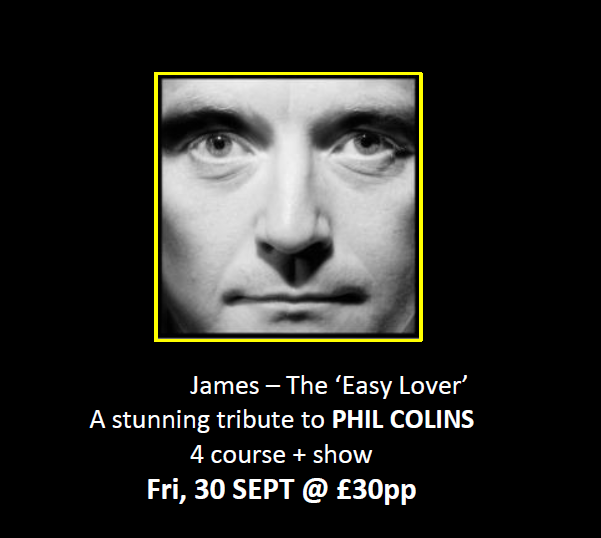 Tickets for dinner and "Phil" just £30 pp. For more details of the other fabulous tribute acts we have heading to the Charde Oriental over the next few months, check back soon and follow us on Twitter and Facebook. The paparazzi are primed and on stand-by!